This product replaces the older Zebra 2844. The ZD420 is a thermal transfer/ direct thermal label printer that can print labels that are up to 4 inches wide at a speed of 6 inches per second making it an ideal choice for printing shipping labels. Unique to the ZD420 is its new easy to use design. After consumer feedback overwhelmingly listed "ribbon installation" as the biggest nuisance on thermal transfer printers, Zebra designed their own drop in ribbon. This new ribbon is so easy to install, most users can complete the process in less than 10 seconds. Ribbon cartridges for the ZD420 can be found here. Please note that Zebra will not pay for the shipping cost. All cartridge recycling shipping costs are paid for by the sender. También puede ver esta lista en Español. Visite EquiposTPV.com para comprar el Zebra ZD420 impresora de códigos de barras. How do you pair a zebra printer with Android? You can use a bluetooth version of the printer and NFC to quickly make a connection with the printer. A utility app is also required. Can I use standard ribbons with the Zebra ZD420 label printer? Aug '17: 5/5 Stars: The ZD420 is compilation of technologies developed and field tested over the last two decades. 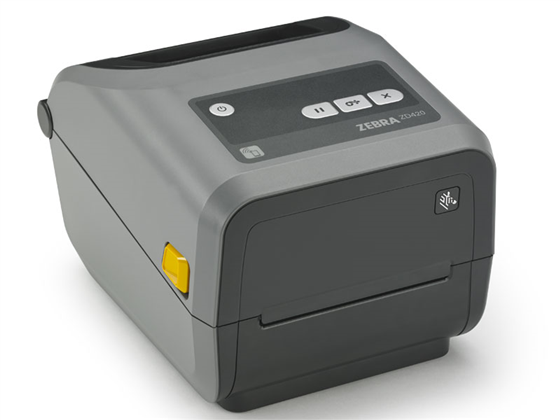 The ZD420 Label printer is more user friendly, compact, compatible, and well built than any Zebra Desktop printer to this point. The cartridge loading for ribbons is a game changer, as the cartridges eliminate user error when loading ribbon, no longer can you load ribbon backwards, upside down, or crooked, you just simply drop in the cartridge and print. On the fly calibration is easy to do with simple button presses eliminating the need to power cycle the printer. Media is readily available both for direct thermal (ribbon free) and more permanent thermal transfer (ribbon) printing. High density 300dpi models are also available for ultra compact barcode printing or detailed graphic applications. Find it faster! Click here to compare ZD420 models by feature. Z1AS-ZD40-3C0 3 Year Zebra One Care, Select, Advanced Exchange, Comprehensive Coverage for ZD410 & ZD420, Must be Purchased with in 30 Days of Printer Purchase. Call for more information; requires purchase of additional printer. 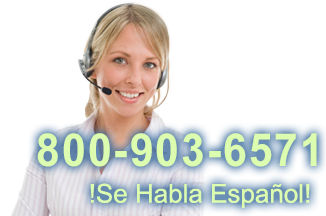 Browse all ZD420 models now or call 800.903.6571 for assistance. Hi, this is Travis from POSGuys.com. Today we're taking a look at Zebra's latest desktop printer, the ZD420. This is a dual thermal transfer/direct thermal printer. It is in their desktop line, and it basically replaces the GX420, it probably will replace the GK and maybe even the GC420. This is the healthcare version, so it's in a white plastic, it's also available in a dark grey in the standard plastic. They also refer to this as the ZD420-C, because this is their first printer that they've had that uses a cartridge for a ribbon. So instead of having to spool ribbon around a roller and then having a spare roller to load excess ribbon on, you just get a simple cartridge, drop it in, and you're ready to go. Of course, when you're using direct thermal printing with direct thermal labels, you wouldn't use any cartridge at all, you'd just pull it out, set in your drivers that you're using direct thermal, and it will print on direct thermal media. The ZD420 prints at 6 inches per second in 203 dpi mode and 4 inches per second in 300 dpi mode. I'm going to print 20 labels at full speed. It prints very quickly, additionally, there was almost no buffer time, the label was sent to the printer and it spit it out almost immediately. There's a barcode and text on these labels, no labels were skipped, and pretty much every label looks exactly the same, the margins are all what you'd expect them to be. The way you see it on the screen is the way it prints, so overall very good results, good printing speed. They've made some other substantial improvements. Mainly, they've gotten rid of their one button design, so on older printer models the power button had a little LED around it, and that was the only button on the printer, and so in order to calibrate, in order to check settings, in order to do anything with the printer you had to use that one button and then a series of blinking lights. You can see now there's status LEDs where you can tell if you're running low on labels, what your Ethernet status is, and then it has the three buttons, the two outside buttons you use for calibration, the inside buttons you can use to print a configuration. Previously, when you changed media, you had to either hold down a button as you powered it on, or you had to hold down a certain LED, wait for it to blink a certain amount of times, let go, and then it calibrated. Now when you want to calibrate, you just hold down two buttons for two seconds, and then it does it's calibration process and spits out a label. Afterwards, if you hit the feed, you'll get a single label. So that's a nice welcome change, much easier than having to remember how many blinks you have to do, you just have to hold down two buttons. Inside of it, you have your standard Zebra pinchers to hold your media in place. The eye on it is movable, so this is a nice change if you're printing offset media, or the middle of the label might not be the widest part, or there's some kind of black mark only on the side, you can adjust it as such, and then you can also hold the two dividers at static widths, so if it pinches your media a little two much and you might get a jam, you can use this to keep the spacers out at desired lengths. There's also a small gap on the back of the printer, if you want to feed media through the back using fan-fold ticket stock, then this gap is still provided. And you'll be able to see the interfaces on the back, standard is your USB, this is your power adapter, and then this card is interchangeable, this is an ethernet connection, and there are some connections such as parallel or serial available, some of them are field replaceable. Overall, the ZD420 is a wonderful printer. It comes in two different plastics, the healthcare plastic, which is disinfectant ready, so you can spritz it down and clean it off, or the standard grey version. The cartridges are all the full-width 4 inch print width, so it will work with any label. You can also use direct thermal media with it. It has a 1 year warranty on it. Different interfaces such as serial can be field replaceable, WiFi is also the case. 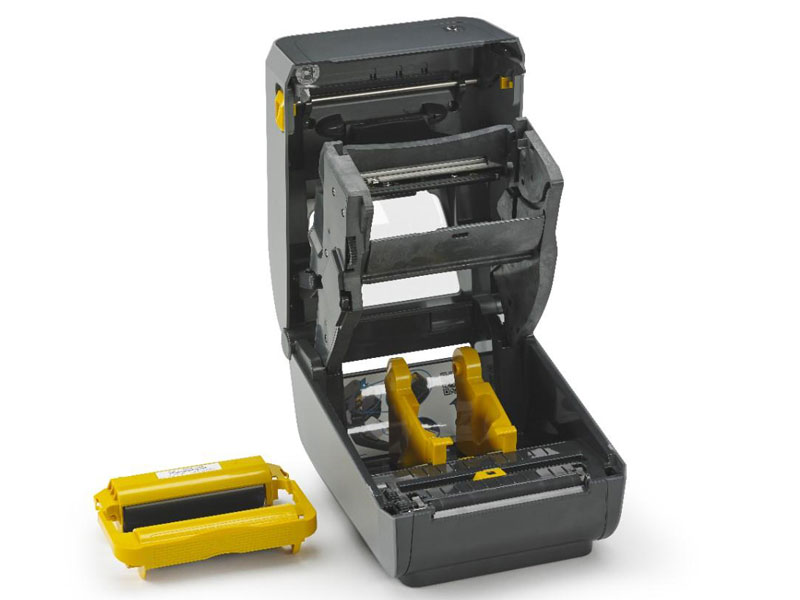 You can also get some accessories like cutters and peelers that are also field replaceable, you just take off two screws and attach the accessory to the front of it and you're ready to go. For more information on the ZD420, or purchasing the printer itself or media, please visit us at POSGuys.com. Thanks!